From here, I would likw to drive along Swaledale. 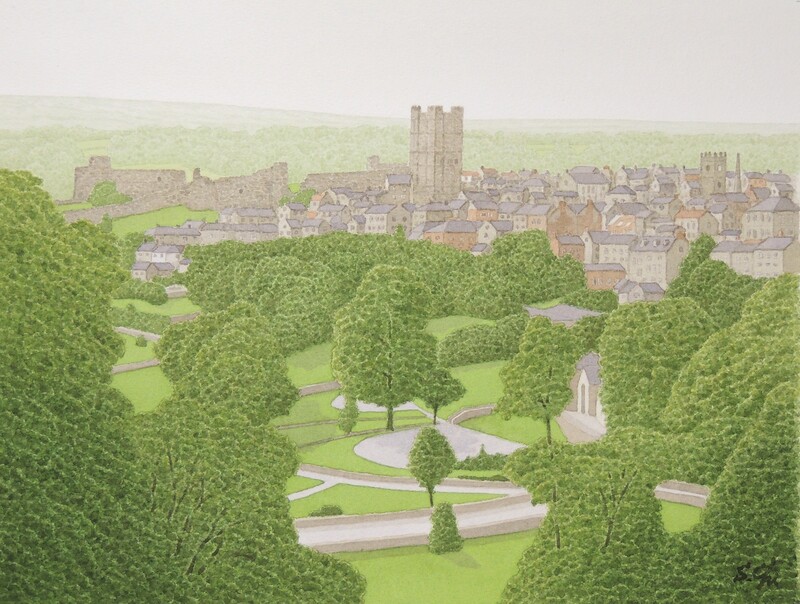 The town situated at the entrance of Swaledale is Richmond, and the tower soaring above the houses of it on the River Swale is the keep of Richmond Castle. The building of this massive castle now in ruins was started in 1071 by Alan the Red, the son of the half brother of William I. Alan was the leader of campaign of the Harrying of the North, to wipe out the rebellious Saxons. As a reward for the campaign, he was given the manors which had been owned by Edwin, Earl of Mercia. It is said the number of the manors he got were 199 or 242. Robert Fitzralph who built Middleham Castle was the descendant of Alan's younger brother Ribald. The castle was erected on the bank of the River Swale in the shape of triangle spreading to the south, and its south is protected by the steep banks, natural walls. The other two sides of the castle are protected by the massive stone walls. The castle built by Alan consisted of curtain walls and houses and it had no keep at first. 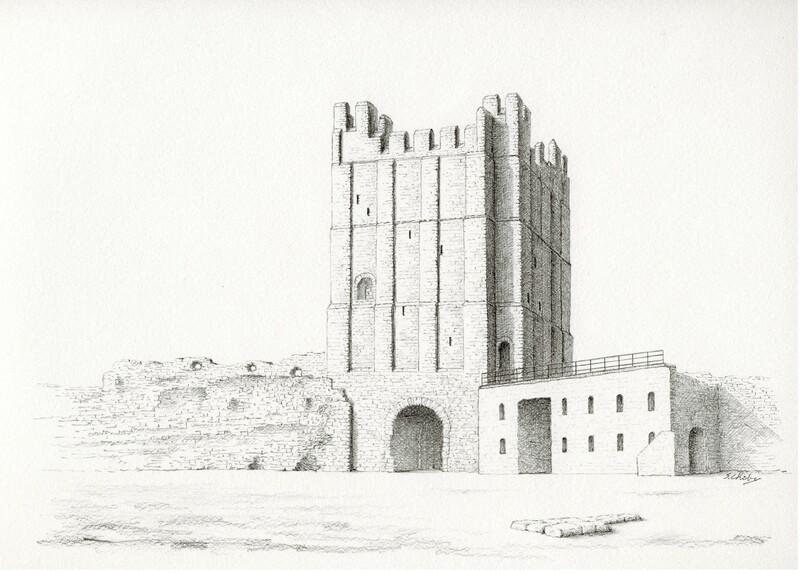 Having a large court, measuring 300 feet from north to south and 450 feet from east to west, it was one of the largest castles in England in the times of the Norman. It was the late 12th century when the gigantic keep, 100 feet and 6 inches in height, looking down at the town was built at the north apex of the triangle. But having been in disuse from the middle of the 14th century, Richmond Castle was already in ruins by the 16th century. Turner painted some watercolours of this castle and the town. 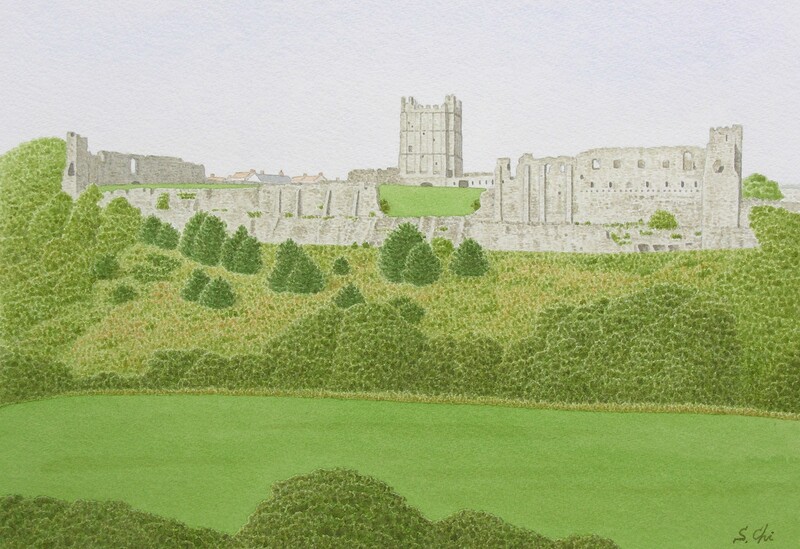 Although Richmond Castle was the large one in England and had been owned by the royal menbers and the great men in history, it took no part in historic events such as the Wars of the Roses and the Civil War. I was somewhat disappointed to learn this, but , to my great surprise, the local legend says that King Arthur and his knights are sleeping under Richmond Castle.